Lock 1 was never paired, unlike locks 2, 3 and 4 which were paired. 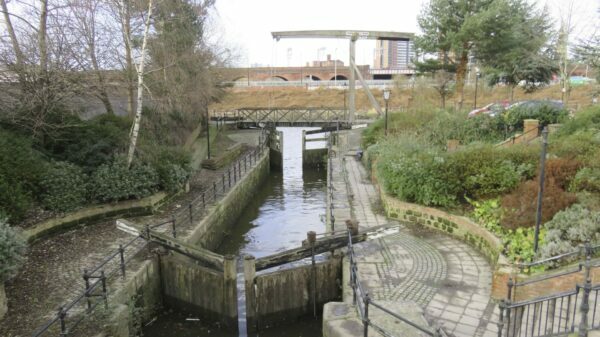 The lock leads under the lift bridge onto the River Irwell. The river is navigable upstream for a short distance to the right, and downstream to reach the Manchester Ship Canal.